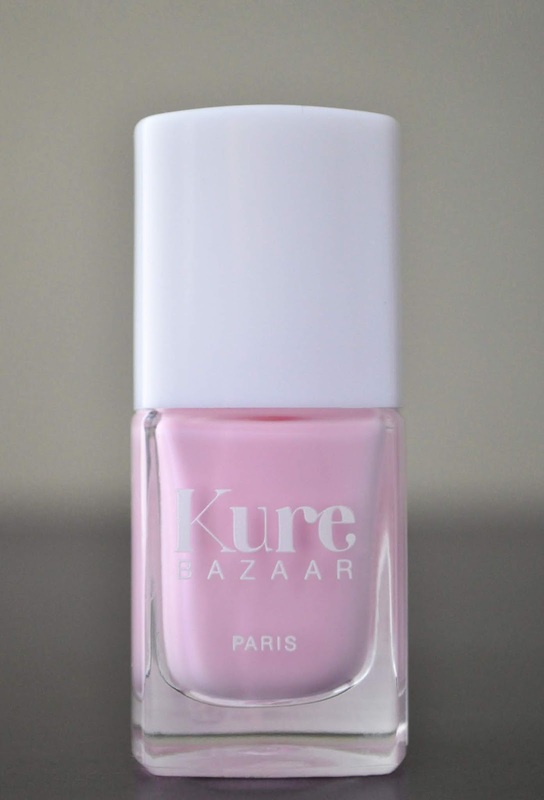 Of the 30 Kure Bazaar nail lacquers in my collection, I thought I had posted on some of them. But, to my surprise, I haven't. Before we get into the polish, let's talk about the brand for a moment. Free of Toluene, Parabens, Formaldehyde, Synthetic Camphor, TPHP, Styrene, and Dibutyl Phthalate, Kure Bazaar nail polishes are formulated with 85% natural ingredients. They are vegan, and do not tested on animals. Cosmos is a pastel lilac-pink, with a glossy, cream finish. Also, when dry, I did notice that Cosmos was relatively darker on the nails than in the bottle. The majority of all my Kure Bazaar polishes are practically one coaters, but Cosmos needed three coats to get full opacity. Just like all her other sisters, Cosmos wears for an average of 6-to-7 days. Kure Bazaar Polishes are some of the best polishes on the market, and one of my favorite nail polish brands...and I wouldn't make such a claim so flippantly. These polishes apply remarkably smooth, are ultra-shiny, and resilient against signs of wear. There are several polish brands that make me want to own all their polishes. Given that I'm 30 nail lacquers in, I believe I'm at the half way mark to achieving that goal! Sorry for the late reply. For some reason, I'm not getting notification of comments. Thank you Dear. Do you have this shade?